VANCOUVER - Wednesday will mark the end of the 22-year-old AirCare program in Metro Vancouver. The B.C. 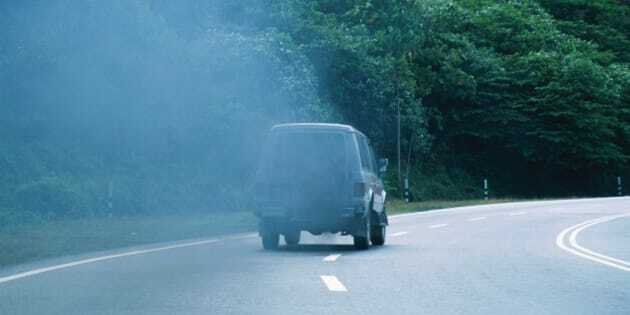 government's attempt to slash air pollution started back in 1992 and saw emissions tested for millions of cars and light trucks. But the government says the need for the program is dropping, pointing out the failure rate in vehicles fell from 14 per cent to eight per cent in the last seven years because of advances in emission-reduction capabilities. In a memo to members, Stephanie Smith, the president of the B.C. Government and Service Employees' Union, says the union fought hard to retain the program and union jobs, but the government refused to revisit the decision to cancel AirCare. About 100 BCGEU members are expected to lose their jobs. Ryan Patel, a salesman at the used vehicle dealership Legacy Cars, says the program was a nuisance and expense for vehicle owners, but the end of program could mean drivers will delay fixing their vehicles with the threat of failing AirCare now gone. "The engine light pops on because those (emissions-control devices) are now failing," he says. "If they fail, that means you're now polluting the environment again."